Hagley playing fields closed to the public during scheme construction works. 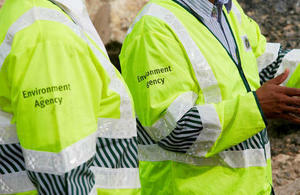 The Environment Agency’s Rugeley Flood Risk Management Scheme that began in December is progressing well. Preparations for the construction of the embankment have now started. To make sure that the public stay safe while the work is being carried out, the Hagley playing fields will remain closed to the public until 2018, once the scheme has been completed. We’re working hard to get the scheme completed as soon as possible so we can minimise any disruption and inconvenience. However, keeping people and the community safe during the work remains our priority which means closing the playing fields is essential.